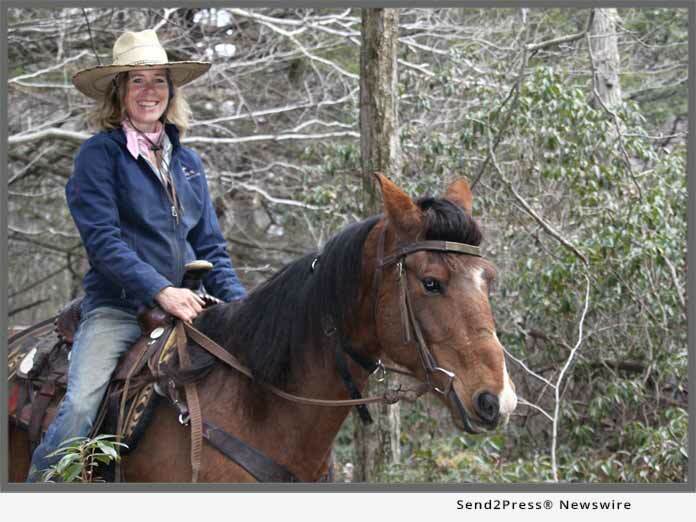 PRINCETON, Mass., Apr 10, 2019 (SEND2PRESS NEWSWIRE) -- Cornerstone Ranch started out 18 years ago with 24 acres in Princeton. A recent land acquisition of 31 acres in Rutland more than doubles the size of this woman-owned and operated business. Susan Connell, Cornerstone's founder and owner, explains that not only was this land purchase a benefit to the ranch, but to the community as a whole. "The land is now preserved from future development. The scenic backdrop provides outdoor recreational activities for all ages. Trail rides, sleigh rides, riding lessons, pony rides, birthday parties and group outings are some of the many activities we host throughout the year," she says. This expansion provides an increased ability to host more birthday party events, summer ice cream socials (each flavor is named after a horse on the ranch) and barbecues. There's a small animal yard for petting, horse-drawn wagon rides with a historical spin and accelerated "Learn to Ride" clinics for adult riders to improve and learn new skills. There's even the "Wild Child Express Trolley" for kids to enjoy. The trolley was originally located at the University of New Hampshire and served as a concession stand outside of the college. It's an original from the Classic Trolley Company and today it serves as a place to get a cool ice cream on a hot day. Connell is dedicated to educating people from all walks of life about the history and culture which makes people's love for horses so strong. "I promote safe, humane equestrian activities by educating and engaging people in the sport of riding and driving horses in a safe, friendly and non-competitive atmosphere. Sharing the ranch with so many individuals and families traveling from far away and locally is very rewarding. Seeing joy on people's faces as they return from a trail ride, often on a horse we have rehabilitated, is truly a rewarding and heartwarming experience," Connell says. For more information, visit: https://www.cornerstoneranch.org/. Watch a video (YouTube): https://youtu.be/E-Uh8WYn-fA. This family-run business is opened year-round. Two of Connell's children, Julia and John, both work on the ranch in addition to many volunteers, some of whom have helped out for more than 10 years. Many of their horses have been turned in by people who could no longer care for them. Cornerstone devotes the time, patience and experience required to rehabilitate and retrain them.